Applying for financial aid is simple -- just follow the steps below. 1. Apply for admission, and declare a major in an eligible program of study. When applying for admission at www.nvcc.edu, please provide your social security number on the admission application so that your FAFSA will be received and linked to your file. Contact a counselor to declare an eligible major. 2. Go to www.fafsa.gov and apply for your FSA ID. If you are required to provide parental information on the FAFSA, one parent must also request his or her own FSA ID. Both you and one parent will be required to sign the FAFSA online; your FSA IDs will act as electronic signatures. 3. Submit the Free Application for Federal Student Aid (FAFSA). Visit a Campus Financial Aid Office or call 1-855-323-3199 if you need assistance. Enter NOVA’s federal school code (003727) on the FAFSA. 4. Verify the information on your Student Aid Report. The Department of Education will send you a Student Aid Report one to four weeks after you submit your FAFSA. Make sure NOVA’s federal school code (003727) is listed so that your information can be released to us. Call 1-800-433-3243 or visit www.fafsa.gov to edit your information. 5. 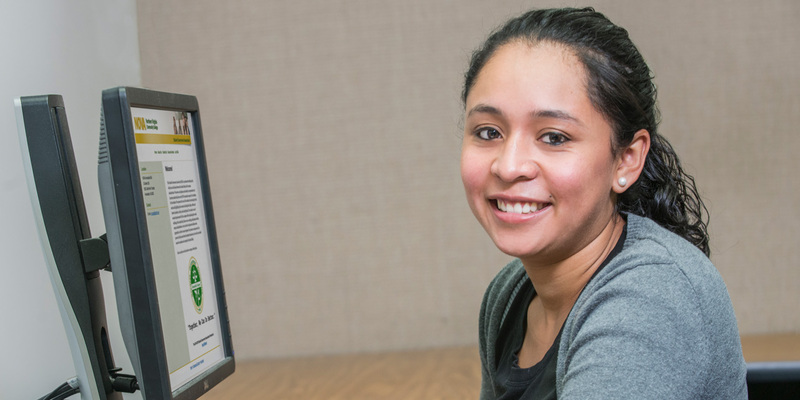 Check the status of your financial aid application on myNOVA. Verify if additional information has been requested by logging into myNOVA and frequently checking your To Do List by clicking: VCCS SIS: Student Information System > Self Service > Student Center. Click on each To Do List item for instructions. 6. Respond to requests for additional information promptly. Contact a Campus Financial Aid Office or call 1-855-323-3199 if you have any questions. 7. Review your financial aid award letter. You will receive an award notice sent to your NOVA student email when you are awarded. You may then view your award on myNOVA by clicking VCCS SIS: Student Information System > Self Service > Student Center > View Financial Aid. Click on the aid year to view your financial aid for that year. Note that aid offered prior to the term census is based on anticipated full-time enrollment in courses that are required for your major. If you register less than full-time, your aid will be adjusted after the census to reflect the correct award. Aid will be adjusted throughout the term if enrollment status and aid eligibility change due to dropped or non-attended classes. Remember to complete a Master Promissory Note (MPN) and Entrance Counseling at https://studentloans.gov/ if you are accepting a student loan. Aid can only be offered for courses that are required for your degree or certificate. Review your Advisement Report to ensure your courses are required. You can also view course eligibility by logging into myNOVA and by clicking VCCS SIS: Student Information System > Self Service > Student Center > View Financial Aid > View Course Eligibility. Meet with an advisor to discuss your courses if you have any questions. If you have enough financial aid to cover the cost of your tuition and fees, your financial aid may be used to buy required textbooks and supplies at your campus bookstore 10 days before the start of your 16-week term until the last day of the initial drop/add period. 10. Make certain your financial aid or other resources cover your tuition balance by the payment deadline. Awarded aid will show as “anticipated” until it is disbursed after the term census date. If your anticipated aid is more than your tuition then your classes should not be dropped for non-payment. If your anticipated aid is not enough to cover your entire bill, you must pay the difference by the payment deadline or your classes could be dropped. If you register but decide not to attend, you are responsible for dropping your courses on myNOVA by the census date. You are responsible for paying tuition, fees and books for classes not required for your NOVA program of study. 11. Verify your mailing address. A check may be mailed to your address listed in myNOVA for any credit balance on your account if you do not set up a different refund preference. 12. Select your refund preference at https://nvcc.afford.com/refunds. You may elect to receive refunds for any credit balance on your account via direct deposit (ACH), a reloadable Visa Prepaid Card, or by check. If you originally paid your tuition with a credit card any excess funds may be credited back to that card. Aid that requires at least half-time enrollment will not disburse until the census date has passed for at least six credits. The FAFSA becomes available at https://fafsa.ed.gov/ on October 1 almost a year before the following academic year begins. Please take note of the following important financial aid filing dates and apply early! Students who submit their FAFSA and any additional requested items by these dates should be awarded any funds they qualify for prior to the start of classes. Questions? Contact your campus Financial Aid Office or your Campus Financial Aid Office. More detailed information is provided in the Financial Aid Handbook.